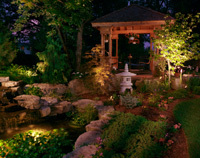 Stonehenge Landscapes has provided quality residential landscaping in Indianapolis for over a decade. We specialize in creating unique formal landscapes full of vibrant color with mixtures of complimenting texture blends. Ou mission quite simply is to enhance the quality of life in the community and our neighborhoods, making them more beautiful! Please call us or contact us to schedule a consultation at your home or office.